Many households depend on their dishwasher to wash their plates. When it stops working correctly, it can cause a lot of frustration and damage to your home. 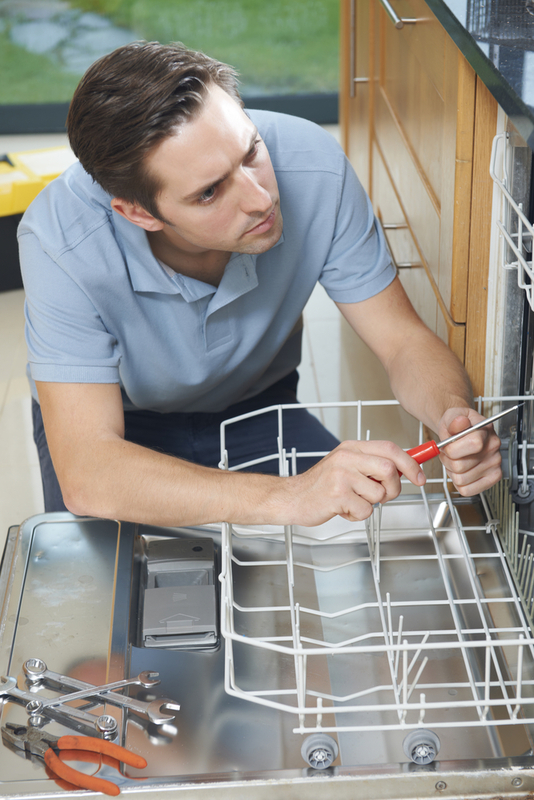 If your dishwasher isn’t draining, appliance repair is the solution you need. Just Appliance Repair in Poughkeepsie, NY, explains some of the reasons your device is malfunctioning. Always rinse your plates thoroughly before putting them in the dishwasher. The drain lines are meant to handle only soap and water. If food gets into the line, it can create a clog that prevents the device from draining. An appliance repair specialist can unclog the line and restore water flow. Dishwashers contain several different components that rely on each other to function. If one of those parts starts to fail, it can cause the entire system to malfunction. The dishwasher can, for example, experience backups and cause flooding. With the help of appliance service, you can get to the bottom of the problem and replace the failing component. Because the lines drain outside, there is a chance that the line is affected by cold temperatures. Frozen water will create a blockage that prevents the dishwasher from draining. The only way to fix the problem is to unthaw the line and get water flowing freely once again. If your dishwasher is having trouble draining, call an appliance repair specialist to get to the root of the problem. Contact Just Appliance Repair in Poughkeepsie, NY, to discuss your situation and see what needs to be done. You can visit them online for more information on their services, and call (845) 243-7052 to schedule an appointment. Their team services Poughkeepsie, Mid-Lower Hudson Valley, Orange, Ulster, Dutchess, Putnam, Sullivan, Westchester, Rockland, northern New Jersey and parts of Connecticut.